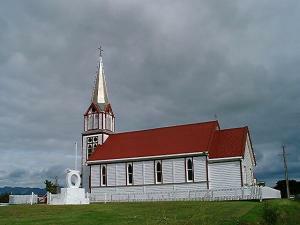 This Maori Catholic Church is a landmark visible from many parts of the Hokianga Harbour and a first glimpse of it from the ferry is probably one the abiding memories that our visitors take away with them. It was constructed in 1910 to a design by Thomas Mahoney. The old Cream Factory, slowly getting older and older. Motukaraka is just a few kilometers from Kohukohu going West. 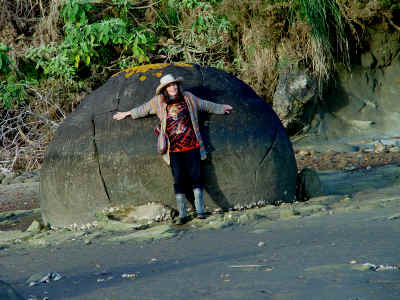 It is right beside the road and was used in the olden days when cream was collected by boat all around the Hokianga Harbour. Later roads were constructed and the factory became obsolete. It is still standing there as a reminder of our past. 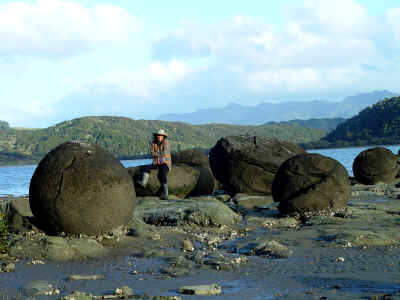 If you drive down Guest Road or Matawera Road you can find these lovely round boulders sitting in the sand on the beach. They are similar to the Koutu Boulders and much bigger than the well known Moeraki Boulders. So if you want to see big boulders, you must go to the Hokianga Harbour.